Think of it as the meeting of best friends. Tavola and Chef and Steward. Makes since when you think about it. “Tavola” is Italian for “table” and we are nuts about cooking and presenting tasty and beautiful food – at least so you tell us! 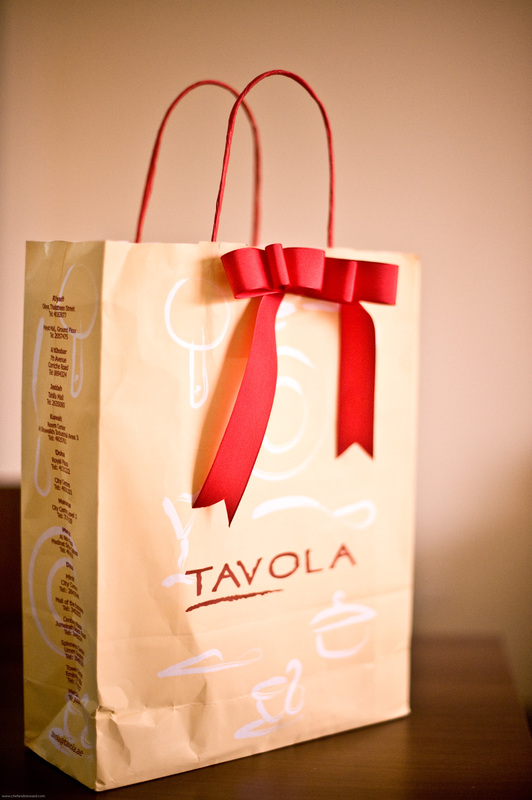 We love the store because it’s the one place where both the chef and steward can shop happily together. No curtains and bed linen or skirts and blouses to offend the masculine sensibilities of the chef and all the magic of colour, style, range, and usefulness to make the steward happy to make three meals a day from scratch! Indeed, this is the foodies’ ideal wedding registry! The deal is on! Seriously, we are the only couple we know who will fight over spices and kitchen tools, but as Suzanne Husseini (author of “When Suzanne Cooks”) said to me yesterday, if spices are all we fight about, we have a great marriage! Well, it certainly helps that we cook together and eat together as much as possible! And it’s even better when we have those tools to make both of us happy. This is the first of the series of features that we will do to showcase how to build a Chef and Steward kitchen, that we will house permanently in the “Our Picks” section up top. This week, we feature a brand that the chef first introduced to the steward when he first unveiled his knife bag… Microplane! 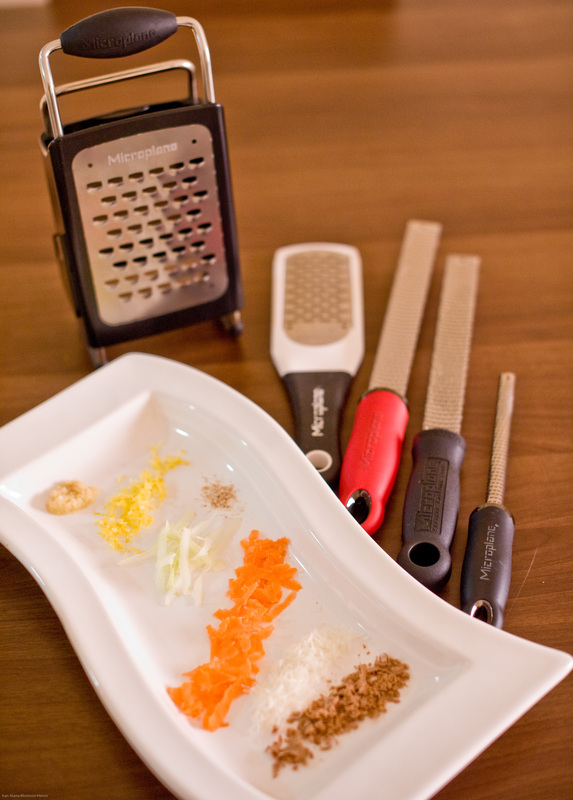 I know… it seems a little strange to get excited over a grater, but I tell ya, once you go Microplane, you never go back! We have gone from one zester to 5 tools and counting! These are ours, and we are slowly collecting more. This is not strange if you knew how it got to be a kitchen tool in the first place and the fact that we still have a razor sharp zester after years of extensive professional and domestic use. Now we have His (the original classic series zester that started the tool wars) and Hers (the pretty red one that stays at home). Since we both have our own, the chef can take his to work without the steward making frantic calls asking “Did you take the zester with you today?” Panicking with a block of parmesan cheese. The zesters are great for citrus zest, (lemon, lime, orange) and are so sharp that you dont have to worry about pressing too hard and hitting the bitter white pith. 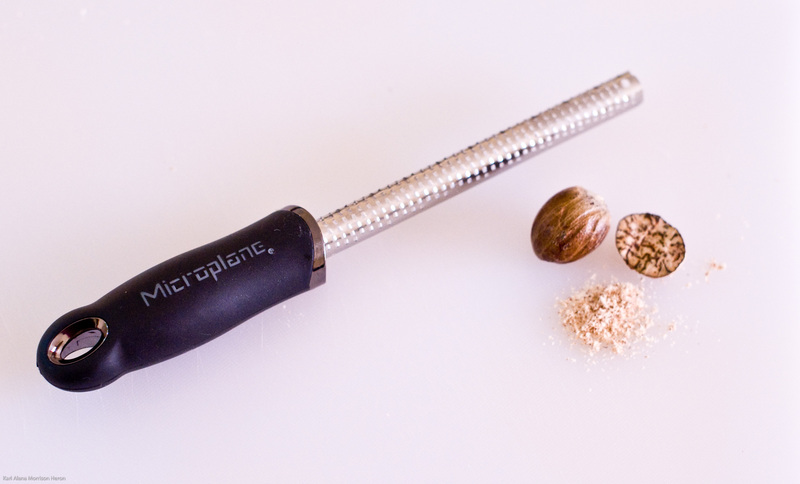 As Micah Jensen, the International Sales Manager for Microplane, said to us when we caught up with him at the Tavola coffee morning yesterday, ‘It’s not so hard, let the the tool do the work.” We couldn’t agree more! 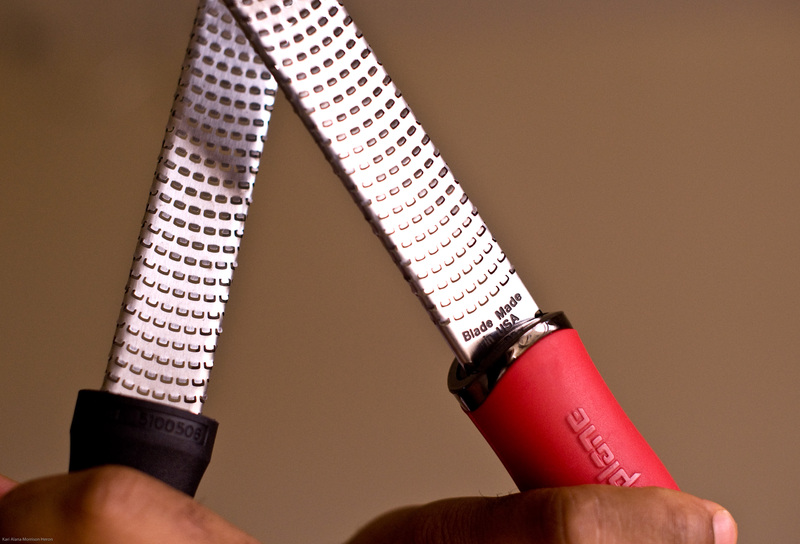 Microplane didn’t start out as a kitchen tool. It was actually originally made for woodworking and crossed over into the kitchen when yet another housewife got frustrated with the old fashioned dull box grater in 1994. Smart she was, she took hold of her husband’s woodworking tool and effortlessly slid the orange across the razor sharp blades and was amazed at her discovery of light and airy pieces of orange zest came from the blade. There was no turning back. Since then, it made the list of requirements for many culinary schools and chefs including this one and from him to the steward. That was 4 Microplanes ago. Here are the others in our collection. The spice grater. Perfect for nutmeg and cinnamon. Spices taste best when ground immediately before use. This makes it a breeze and gives perfect, tiny shards. The box grater. First, it was the steward who got excited. It seems so right… a real box grater. 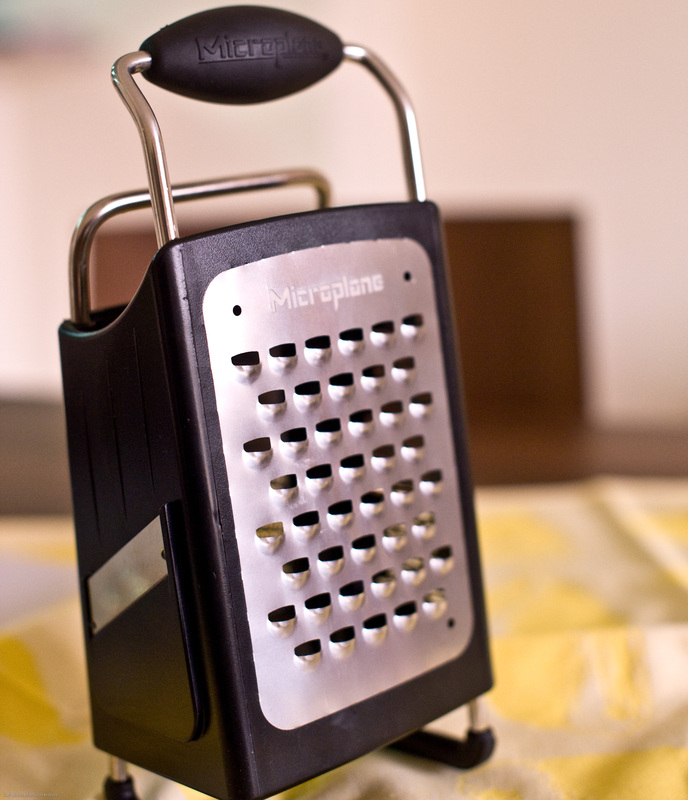 A Microplane Box Grater. This is great for large quantities of grating and slicing as it comes with a different grater on each of the four sides. 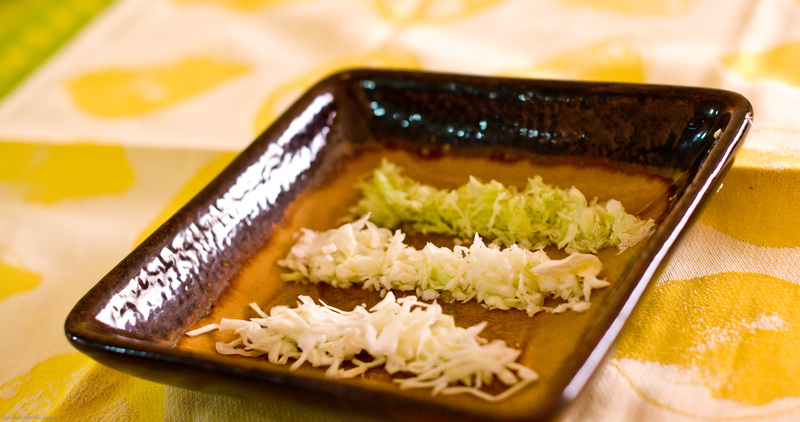 Think coleslaw in a jiffy. Think shaved chocolate and cucumbers. Julienned carrots, apples. Sigh. Bliss. Funny enough the chef has been eyeing this one to use in the professional kitchen. Luckily he can’t sneak it out of the house in his knife bag! CHEF’S NOTE: Not included, the new Microplane peelers that I am excited to try because good peelers are extremely hard to come by! See more stuff we like here. The family behind Microplane got super lucky! It’s pretty funny that they had no desire for their tool to be used by millions everywhere. Have fun using it. It’s a gem in the kitchen! There are new ones coming out soon too! Yes they stumbled upon a huge market! We will continue to use ours and grow our very useful collection. Oh my gosh! I’m finally in great company, I’m also one to those that gets so excited about kitchen tools. I love my microplanes, so much that even my traditional cheese graters have been flung to the back of my cupboards. Maybe your next post can be about another one of my passions, the whisk! I think I have every size hanging in my kitchen, and only as a last resort will I take out my hand mixer. Thanks for the fun post. Anna, we are happy to share such great company! Yup we have a real fascination for things that make cooking better, quicker and more fun. We aim to find the best ways to enhance both the food and the experience. The means and the end should both be justified! 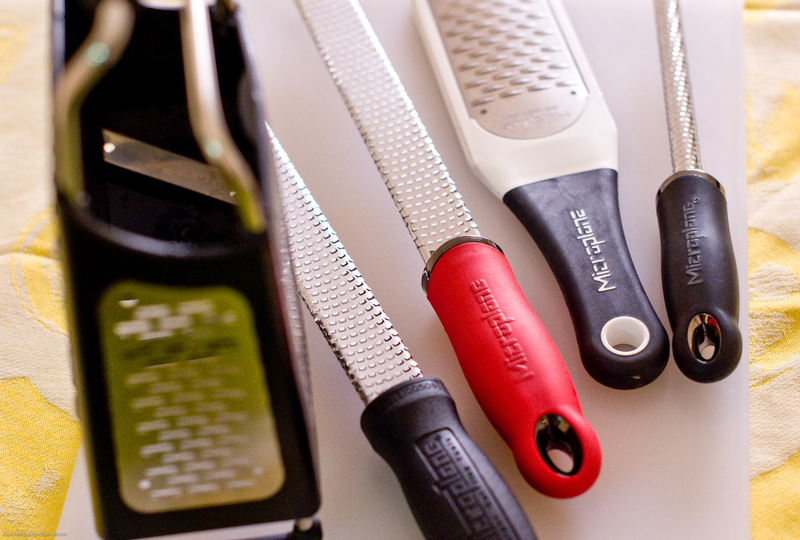 I first heard about Microplane when I started watching more shows on The Food Network channel. I’d see so many chefs using them and some would talk about what great graters/peelers they have within their product line. I love kitchen tools. I use my Microplane just for grating for shredding I go back to old box of food processor, depending on the quantity needed. Well now – I need a peeler so I guess I’ll just have to go to Tavola to get one – hurry up with that review so i know which one to buy! Will do! I am putting my money on the Microplane.. but the proof is in the pudding.